Apple’s iOS is considerably more interactive than it used to be thanks to the introduction of Today view widgets, the Control Center, and other such effects. But minor adjustments, like the active icon of the Clock app showing the actual time, also make use of otherwise static, unspectacular necessities. 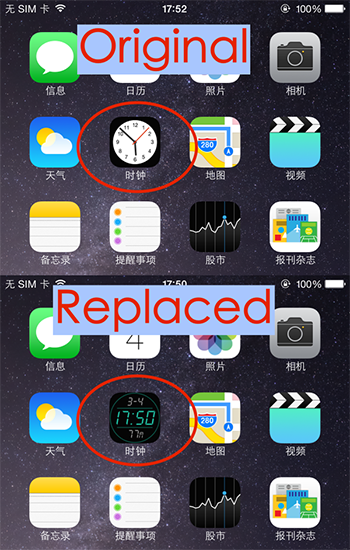 The jailbreak scene is always looking for ways to improve and modify things, though, and if you’d like to replace the default analog clock with a digital one, then, well.. there’s a tweak for that! There are no options to configure, which, while rendering things nice and simple, is a bit of a disappointment in this instance. We do love our tweaks that just work perfectly without any configuration, yet we cannot help but feel that Digital Clock Icon would benefit from the option to, say, alter the colors around. With that said, it’s pretty easy on the eye as-is, and given that it’s free, it’s probably inappropriate to bemoan the lack of personalization. 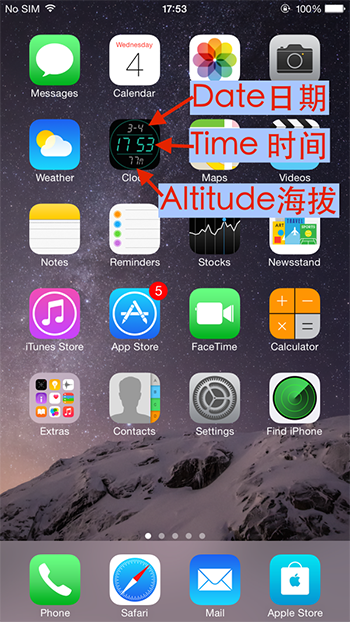 Getting started with Digital Clock Icon could not be much easier. 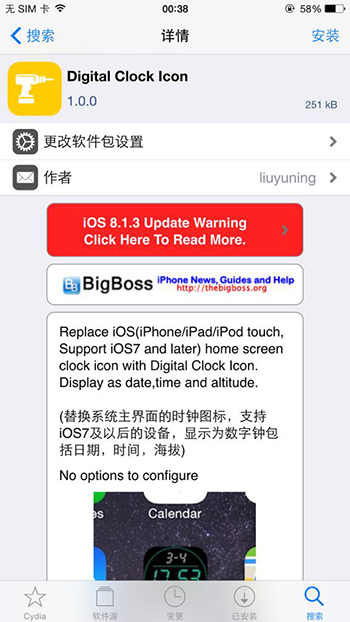 You simply need to head over to the BigBoss repository in Cydia – a repo that should be among your defaults unless you’ve opted to remove it manually – and install. As aforementioned, it’s completely free of charge, which is always nice, and if you do happen to give it a whirl on your iPhone or iPad, then be sure to let us know what you think about it by dropping a comment below!